Adrian is a beautiful, loving girl who is all smiles and hugs. 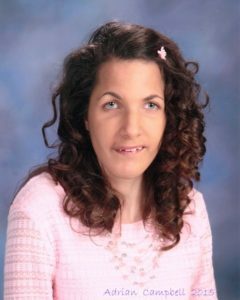 Adrian was born with fluid on her brain which caused her to have multiple disabilities stemming from the brain damage. She has been in and out of the hospital since birth, surgeries, seizures,etc. She has overcome so many obstacles and has progressed further than any doctor’s expectations and continues to do so. She is a trooper. She never complains and always has a hug for you. She is full of love and wants to make everyone happy. Her struggles are greater than most can imagine, yet she will rub your back and help put the covers on you before she lays down. She is a gift from God and my perfect angel. Thank you for any help you can give us. We appreciate you guys so very much and I wouldn’t be able to do any of this for her without you guys.